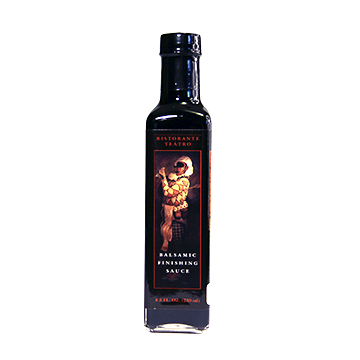 Ristorante Teatro Balsamic Vinaigrette -- Garden Complements, Inc. Sweetened with natural sugars and infused with the essence of select hardwoods, Ristorante Teàtro Balsamic Finishing Sauce delivers the taste of the world’s rarest balsamic vinegars. Finish meats, vegetables, cheeses and fruits with a drizzling of magnificent flavor.